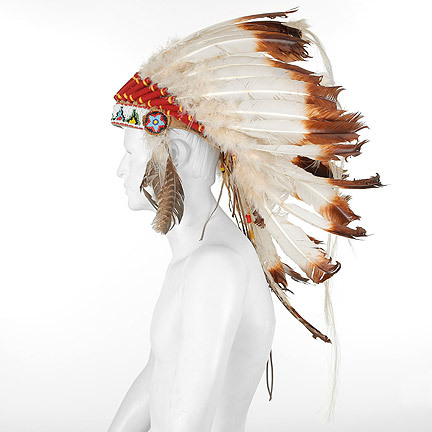 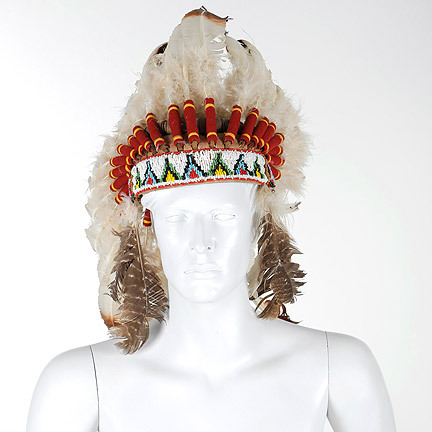 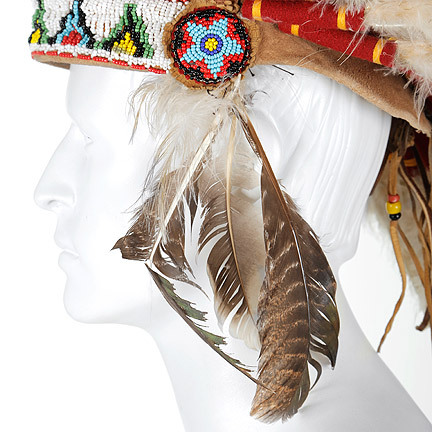 This faux Native American headdress was worn by Pharell Williams on the cover of Elle UK Magazine’s July 2014 limited Edition issue. 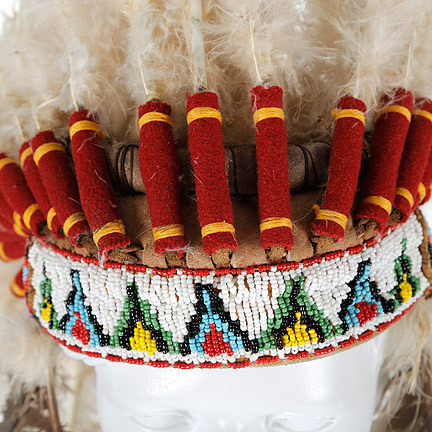 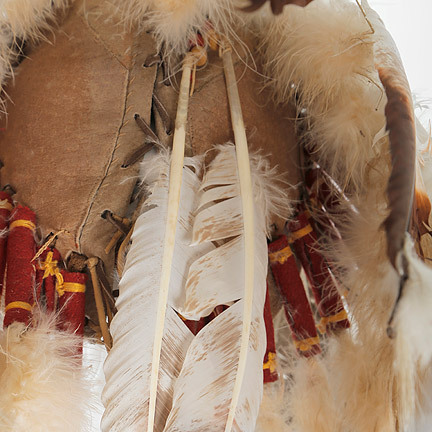 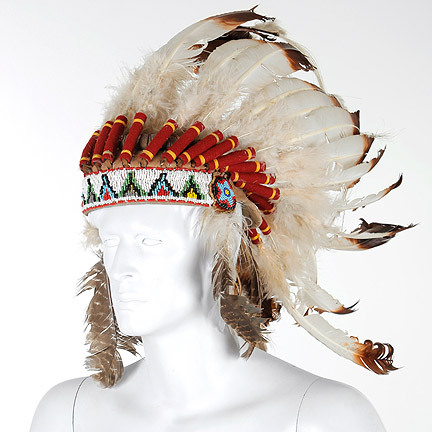 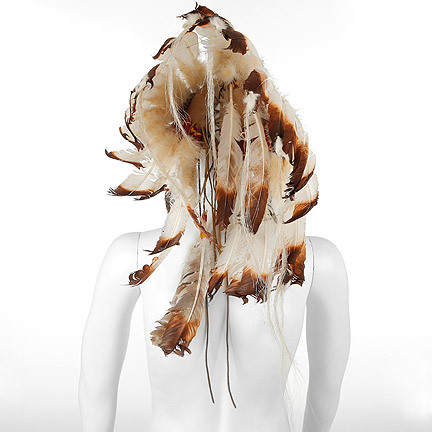 The headdress has a leather-beaded headband, felt wrapped turkey feathers, and white horsehair. 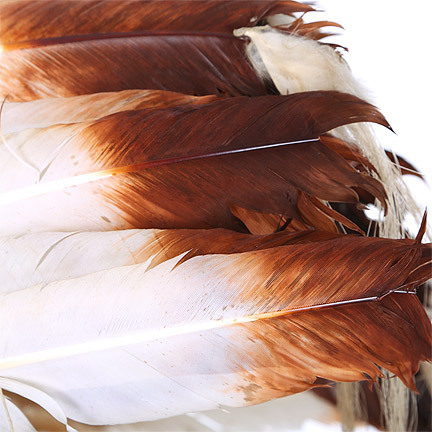 The feathers were wired together specifically for the photo shoot. 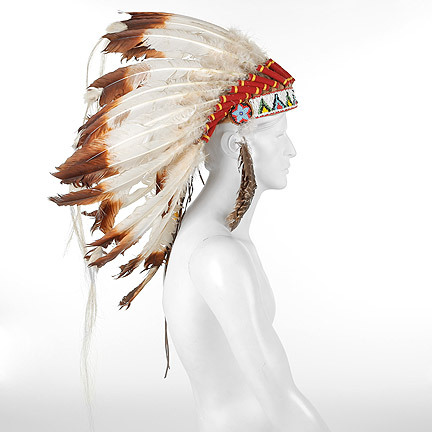 Pharrell is a modern day style icon and his vision has inspired collaborations with Vivienne Westwood’s “Buffalo” Grammy hat, Louis Vuitton’s Blason Jewelry collection, and Adidas’ Superstar collection. 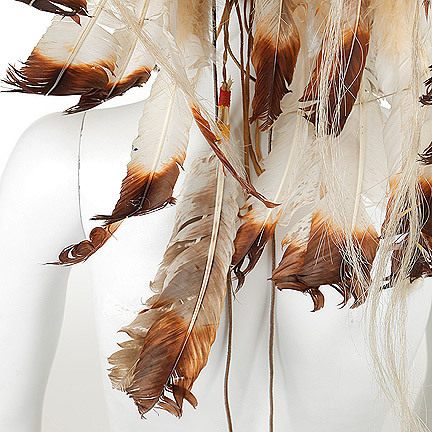 In 2015, he was given the Fashion Icon honor at the 2015 CFDA Awards. 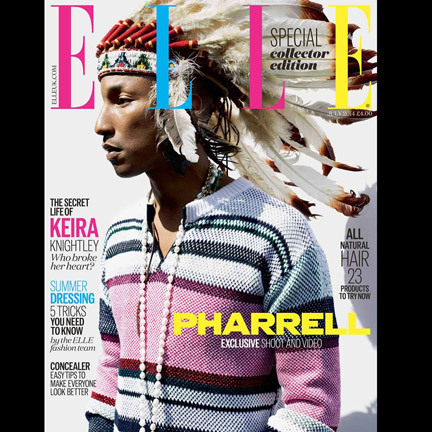 Click here Elle UK Pharrell Williams interview.